Mr. Spooner has been teaching 5th grade at Garden Place Academy since 2007. He earned his bachelor's degree from The University of Miami of Ohio in 2000 and his master degree from the University of Colorado at Denver in 2010. 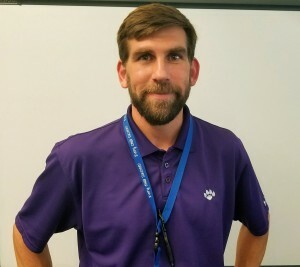 He loves teaching reading and his favorite part of teaching is when he sees a student get excited about starting a new book. When he isn't at school, he is doing something outside with his wife, daughter, and dog Rodeo.